In today’s age of technology we have a variety of ways to instantly communicate with our loved ones, even those who are serving overseas in the military. We have cell phones that allow us to communicate by phone call, by text, by social media apps like Instant Messenger, Snap Chat or Instagram. We can even communicate face to face using programs like Skype. Not so during World War II. In the 1940’s the most used form of communication was the letter. Yes. Actual hand-written, paper letters. Many a romance blossomed through letters written over the long months and years of separation. The telephone did exist, but long-distance telephone calls were expensive. You couldn’t dial the number and have your loved one answer, not if you were calling someone out of town. You had to get a long-distance operator and have her place your call. Yes, I said “her” because all the telephone operators were women. This wasn’t a wartime thing. Women were always used for telephone operators. It would have been rare and extremely expensive to place an overseas telephone call during the war, although these were possible due to the undersea cables. But they were very limited. Roosevelt may have called Churchill in England but the average person could not call up their son stationed over there. Another mode of communication used in the 1940’s was the telegram. Western Union operated telegraph offices in practically every town in America. If someone wanted to send an urgent message to a loved one far away, say a son stationed at a military base in another state, then they would go to the Western Union office and send a telegram. Western Union employed delivery boys or girls or older men to deliver telegrams from the telegraph office to the addressee’s home or office. 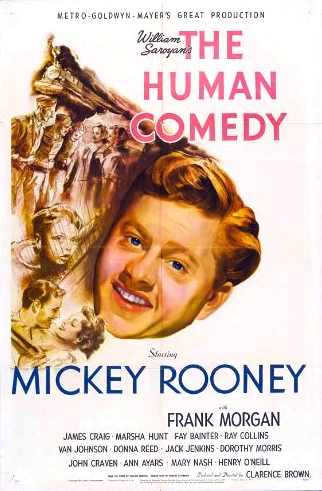 Mickey Rooney earned an Academy Award Nomination for his role as a telegraph delivery boy in The Human Comedy. It is a little known film well worth watching. Although telegrams could deliver joyful news, like the birth of a baby or a loved-one’s pending arrival, telegrams often conveyed bad news, like a death, so many people dreaded receiving one. The U. S. Government used telegrams to notify families when a soldier was killed, wounded or missing in action. Telegrams and telephone calls weren’t instantaneous but, for the time, they were quick forms of communication. On the other hand, letters could take anywhere from days to weeks to reach their destination. Mail sent to soldiers or sailors overseas might take two weeks each way. And they might not arrive in the order they were sent. Pretty hard to carry on a conversation at that rate. And if the mail bag was blown up or sunk the letter never got to its intended recipient. The military devised a method to both speed up the mail and to cut down on the bulky shipments. They called it V-mail or Victory Mail. The person at either end would write their letter on a special, V-mail form. After mailing the V-mail form would be photographed and put on microfilm. The microfilm would be transported overseas, to Europe or Australia or wherever, and at the other end the microfilm would be printed. 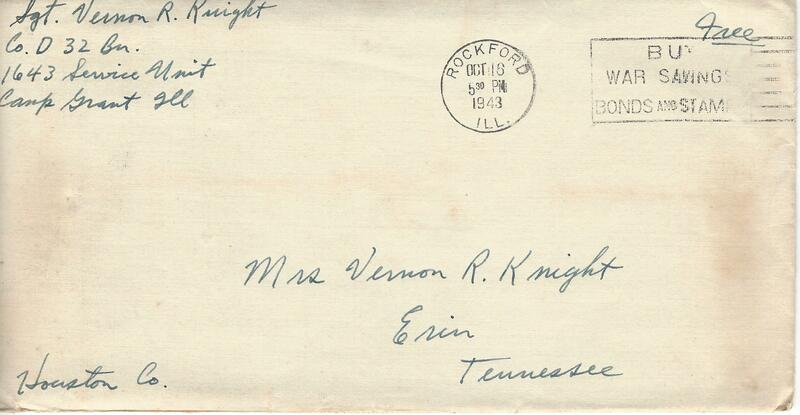 This printed “V-mail letter” would then be delivered to the addressee. So be glad you live in this modern age of instant communication. Or maybe not. Back during World War II when you wrote a letter you had to think about what you were going to say, weigh the words your loved on would read far away on some battlefield or home worrying about you. The letters were often saved and cherished for years, especially love letters from someone special far away. My mother saved a box of letters my father wrote to her during World War II. Reading them not only told me about the events of the time but also gave me insight into who my parents were as young people, their thoughts and feelings. It’s the kind of thing this current generation won’t have thanks to our various technological modes of communication.